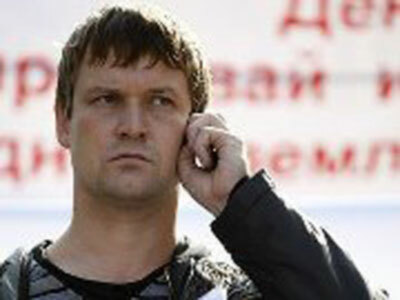 An opposition activist who was on trial in Russia over his part in the 2012 street riots in Moscow has committed suicide in the Netherlands after authorities turned down his asylum request. The Russian Embassy in the Netherlands has confirmed Aleksandr Dolmatov’s death and said his body will be returned to Russia for burial. 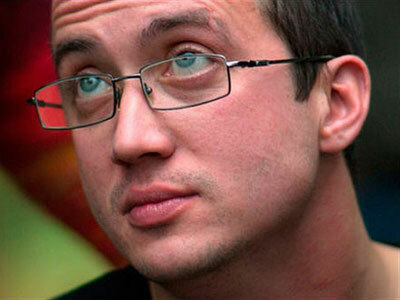 The reports about the circumstances of Dolmatov’s suicide differ. The Russian Lawyers’ Association for Human Rights said the activist killed himself in a refugee center in Amsterdam, and the Russian Embassy spokesperson also claimed they had documents supporting this version. At the same time, one of Dolmatov’s friends who had already received asylum in Europe, told reporters that his girlfriend had received an SMS from him saying he was in prison in Rotterdam. Another Dolmatov’s friend has told Russian newspaper Kommersant that the activist had previously complained that Dutch officials asked him to disclose confidential information about his work at a missile facility. The Dutch embassy in Moscow reported on Friday that before his suicide Dolmatov wrote a letter to his mother and it proves the suicide was a personal matter and not because of the asylum denial. Aleksandr Dolmatov, was once a designer at a secret Russian missile-building enterprise. 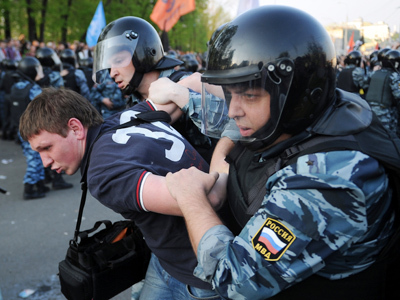 The member of the unregistered opposition group Other Russia fled to the Netherland in mid-summer 2012 after Russian law enforcers charged him with taking part in mass unrest during the protest rally on Moscow’s Bolotnaya Square in early May. 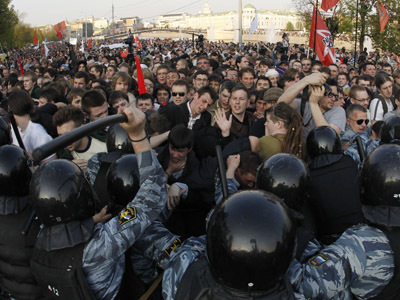 Police suspected Dolmatov of participating in a protest rally against alleged elections violations that ended in violence. About 12 Russians are currently on trial over their role in the events. One man has already been sentenced to 4.5 years in prison for assaulting a police officer during the unrest. After Russian police searched Dolmatov’s apartment the activist asked the Dutch authorities for political asylum, but his request has been declined. Dolmatov appealed the decision and the court session into his appeal was due in the near future. Other Russia leader, writer and leftist politician Eduard Limonov said that Dolmatov, being a scientist and a technical specialist, probably could not adjust to the living conditions in asylum centers. 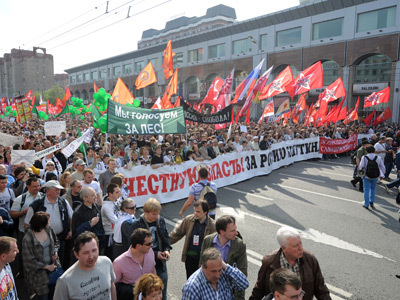 Dolmatov’s comrades said that the Dutch authorities should be blamed for the activist’s death. An attorney working for the Other Russia group has told the press that he and his colleagues planned to hold protest pickets near the Dutch Embassies in Kiev and Moscow.